The much-watched microgrid at Marine Corps Air Station (MCAS) Miramar took another big step this week with an expansion that will demonstrate landfill gas as a reliable fuel for an islanded microgrid. Initially funded by $20 million from Congress, the San Diego, California microgrid is considered one of the most sophisticated under development with five distributed energy resources, including solar, energy storage, landfill gas, diesel and natural gas plant, and EV charging. The first phase of the demonstration project paired solar and fossil fuels. Its second phase, announced this week, will demonstrate the interplay between landfill gas and energy storage, said Mark Feasel, vice president, electric utilities & microgrid at Schneider Electric, which is developing the microgrid in conjunction with Black & Veatch. This step is significant because it demonstrates a way to make landfill gas more useful in generating electricity — and swap it out for fossil fuels. 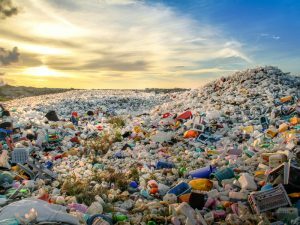 Given the worldwide need to manage waste — especially in light of rapid urbanization — the search is on for ways to make productive use of gases emitted from landfills. The world generates about 2.01 billion tons of municipal waste, a figure expected to grow 70 percent over the next 30 years, according to World Bank. Often characterized as a renewable fuel, landfill gas brings with it the same problem of other renewables — it may not always be available when you need it. Its unreliable nature becomes a particular problem when the microgrid islands from the main grid and relies solely on its own generators. So in some cases, projects are forced to shut down the landfill gas generation while islanded. The Miramar microgrid intends to demonstrate how to solve the probem with a battery energy storage system, which “stiffens” the output of landfill gas. The battery, provided by Schneider, also will be used for other means, such as peak shaving and demand response. The Miramar microgrid tour is sold out for Microgrid 2019. Space is still available to attend a special presentation on Miramar at the San Diego event, May 14-16. “The microgrid is critical in allowing operations to continue if the utility power grid is compromised, and this expansion will enable enhanced capability to enable financial benefit and power assurance,” said Mick Wasco, installation energy manager, MCAS Miramar. The California Energy Commission is funding the energy storage, and its integration and testing, through a $3.9 million grant from the Electric Program Investment Charge program. The MCAS Miramar microgrid is scheduled to be complete this year. The project was contracted through the Naval Facilities Engineering Command (NAVFAC), Southwest. Upon completion, the microgrid will have the ability to electrify the base’s 100 mission critical buildings, including its entire flight line, even during a power outage. 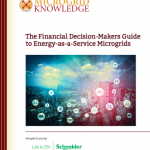 Track new about microgrids and landfill gas-to-electricity by subscribing to the free Microgrid Knowledge newsletter. Interesting— great to see this. I am wondering why wind power wasn’t also thrown into the mix to offset some of the diesel and natural gas use? Good idea Laurie. Wind and Solar can be backed up using the biomass and waste to energy conversion technology I’ve developed and tested. Google Les Blevins and Advanced Alternative Energy and send me an email and I’ll forward my position paper in a return message. Fuel cell technology is missing. Hydrogen required to feed fuel cells can be produced using solar DC electric source to electrolyze water during day time and produce electricity at night. Landfill gas can be upgraded (CO2 and contaminants removed) and compressed to run renewable natural gas vehicles. CO2 produced by the landfill gas upgrading system can be combined with hydrogen (H2) from water electrolysis to produce methane (CH4). Inertia wheels can be used to store energy any excess electricity. Great！　i guess 100% renewable energy system with wind,solar and biogas (methane) generator,will come soon. It is informed that biogas generators are already operated in the grid. Was curious on the controlling aspects of this solution. Is there a particular methodology used, for instance are you looking at AI, or functional structured code to make decisions in a predetermined manner, or in real-time as conditions change, will there be a self learning aspect to conditional changes that can be used to make better decisions over time, as it learns from what works well versus what doesn’t work well? I wonder if this new microgrid is the reason for increased odors from the landfill? If so, not ready to sign off. I live in UTC not Lemoore. We’re supposed to be a suburb of America’s Finest City, not Methane capital of the world. There is no limit to the amount of money that can be spent forcing the square peg of spasmodic, uncontrollable wind, solar, biogas energy into the round hole of a power grid that needs to balance generation to load precisely 60 times a second. Batteries are not cost-effective for any role but frequency regulation, can only be postured for one role at a time, and have horrible environmental and lifecycle GHG emissions footprints. 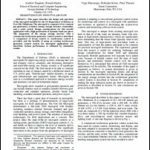 All of the above could be striken from the list of microgrid resoures except for the 3.45 MW diesel and natgas power plant and the SCADA upgrades, and accomplish 90% of the same degree of energy security at 10% of the cost. Federal and state taxpayers are getting fleeced. To balance generator power and loads,grid design is more important than battery. Engine generator is necessary to integrate the intermittent renewable sources as shown in the following web.